Do I have to drink this? Although Alfred Hitchcock’s Rear Window is a classic, I found myself completely distracted by use of brandy snifters. 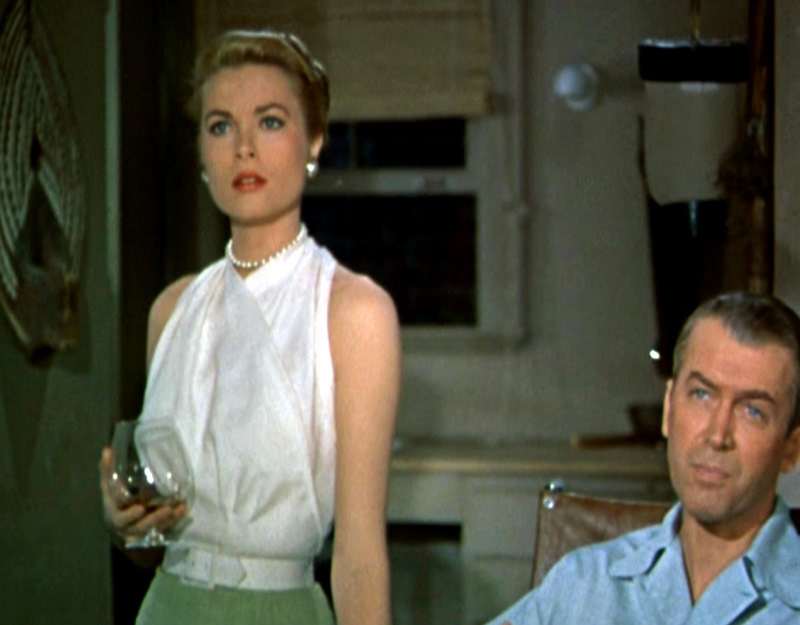 In a particular scene Jimmy Stewart, Grace Kelly and a gentleman who is neither Stewart nor Kelly contemplate the legal and moral ramifications of Stewart spying on his neighbor. The conversation, which delves into the voyeuristic nature of the human condition, is not helped by the fact that all three of them are swirling brandy in glasses the size of stadium light bulbs. I could not concentrate. Anything Stewart, Kelly or “The Guy” had to say was completely lost by the hypnotic warm amber hue. It was soothing. It was inviting. It completely distracted me. It was like watching superior court drama where the prosecuting and defending attorneys argue the finer points of trademark law while passing a bong back and forth. But man, did they look cool. And I don’t even like brandy, which to me tastes like expired wine. Not many people drink brandy. Nowadays if you see people drinking on television or the movies, it’s whiskey, bourbon or scotch, which technically are the same, unless you are from Canada, Kentucky or Scotland, then my apologies for such an obtuse statement. Al starting off the day. In Law and Order, the DA’s usually discuss strategy over a stiff belt. Then there is Deadwood where whiskey is the only option. If you wanted a mai tai in Al Swearingen’s saloon, you’d get a shot of whiskey. If you wanted a glass of milk, you’d get a shot of whiskey. If you wanted a glass of water to brush your teeth, Al would remind you that there is some in whiskey. People who stepped into Al’s saloon had drink in hand, whether for business or pleasure. A stiff belt commenced all activity. The water cooler was the wooden keg behind the counter. I don’t know how they did it. After one shot of Maker’s Mark, I’m goggled. I doubt I would be able to make rational decision after the third. 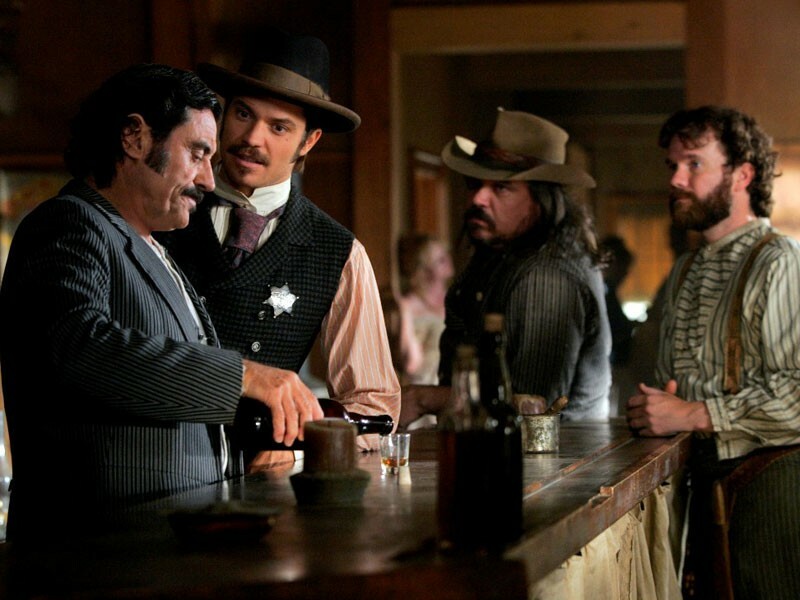 Maybe that’s why most discussions in Deadwood ended in fist fights and shootouts. And as the United States grew out of the Wild West, coffee replaced whiskey as the best way to start off the day. But still, the liquor has its staying power. 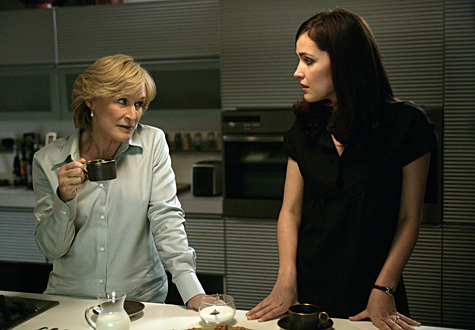 Just look at the drama, Damages, a New York law drama starring Glen Close and Rose Byrne. Scotch, whisky and bourbon may be the fuel for a big law firm, but if a class action lawsuit succeeds and it’s bonus time, out comes the bubbly. Why is that? If champagne is so wonderful, why do people wait for moments of celebration to open a bottle? Do they need to be in a jubilant frame of mind to drink a flute of Cristal? Like brandy, champagne is also from the wine family but this one is hyperactive. It can barely stay in a glass. At least whiskey has the decency to be still like a calm lake and not all over the place like a Yellowstone geyser. It’s the right kind of drink for any occasion, whether celebratory, mournful or a random Tuesday, eating a cheeseburger in the shower before work.